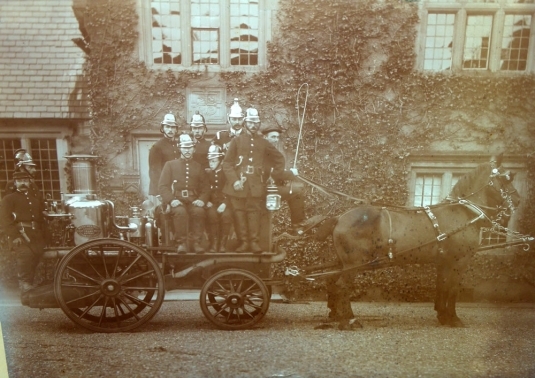 Some indication of the vibrant activity experienced at Mostyn hall during the late 19th and early 20th centuries is afforded by the fact that it had its own fire brigade. Staffed by estate employees and tenants the brigade was an impressive unit in terms of manpower, appearance and equipment. The brigade presumably utilized the reservoirs and various ponds surrounding Mostyn hall as its water supply. Serving the whole locality, its most famous emergency callout was in 1902 when Talacre hall in Llanasa parish, the residence of the Mostyns of Talacre, caught fire. Talacre hall had been completely destroyed by fire back in 1827 but on this occasion, thanks to the response of the Mostyn hall brigade, it was saved from serious damage. In 1828 Sir Edward Mostyn of Talacre had presided over the National Eisteddfod held at Denbigh and on this occasion had been granted a replica of the famous Silver Harp associated with two Caerwys Eisteddfodau of 1523 and 1567. 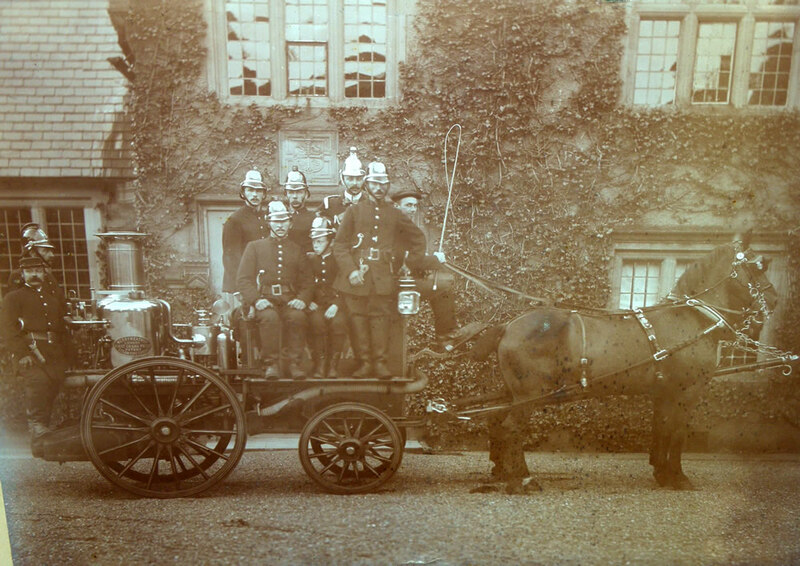 Following the fire in 1902, Sir Piers Mostyn of Talacre presented this replica to his distant kinsmen Lord and Lady Mostyn ‘as a small token of dear gratitude’ for rescuing his home from fire.